For some species, the Darwin's theory of evolution makes perfect sense to me. I can easily imagine how, for example, the giraffe has evolved to its current appearance: the natural selection was favoring individuals that could consume more vegetable food from trees using longer necks, and some individuals were getting at birth necks longer than average by pure genetic randomness and the long neck trait was being propagated to descendant individuals by means of genetic inheritance. I have no problem with understanding this kind of evolution. Now let's have a look at the bat and its relatives. The bat is one of the few mammals that have something to do with flying and the only one that took flying to the bird level. Paleontologically, first mammals date to the dinosaur era and initially looked similar to the present-day shrew (which looks much like a mouse). The question is: how in the world prehistoric mouse-like creatures could grow wings over time? It impossible to believe that some mouse-like individuals were getting wing-like limbs by mutation and the "wings" were growing out accompanied with the knowledge of how the "wings" can actually be used. Ok, then maybe first wings were tiny moth-size wings and then grew larger? But where natural selection would come into play in this case? Such mouse-like individuals would have no advantage over their wingless relatives and thus would not be able to transfer those wing-growing genes to their descendants, quite the contrary, such individuals with useless mutations that interfere with their ability to walk would be suppressed by natural selection and therefore "weeded out". 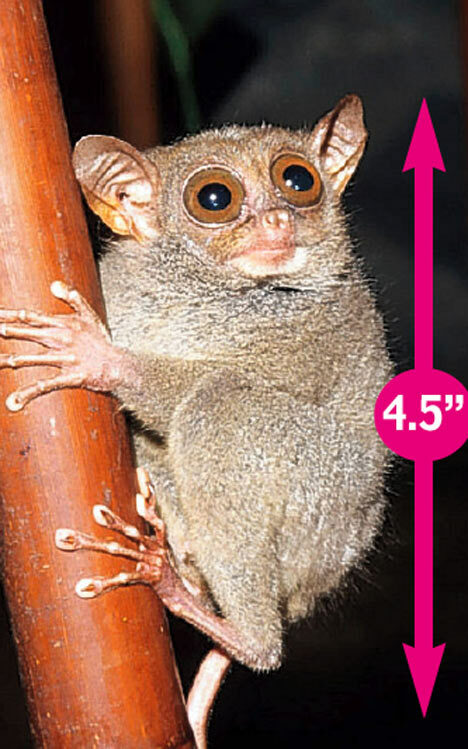 When you ask an evolutionist to show you the ancestor of a bat, he will, in all likelihood (as does the ZooBooks volume on "Bats"), show you a mythical creature with elongated limbs connected by stretched skin gliding from branch to branch like a modern flying squirrel. It will have paws on all four limbs, and may be seen perching on a branch with skin folds hanging down (Wood and Rink, p. 6). What the evolutionist will not show you is any kind of transition between paws used for standing and running, and hand-wings used for flying. He won't show you because there is no fossil of such a creature, and he can't imagine what one would look like. He also can't explain how "survival of the fittest" would produce it. At some point elongating front toes would interfere with quadrupedal (four-footed) movement long before they could become the ribs of functional wings. So what is the story behind the bat's wings and is the Theory of Evolution really able to support it? There is nothing about bat evolution that is a threat to the theory of evolution. Second, the claim that there is no incremental benefit in having either elongated digits or glide-enhancing (pre-powered) surfaces is incorrect, as demonstrated by the flying squirrel. [O]ur results suggest that an up-regulation of the Bmp pathway is one of the major factors in the developmental elongation of bat forelimb digits, and it is potentially a key mechanism in their evolutionary elongation as well. Yes. Darwin's theory is able to support the evolution of bat wings. Bat fossil evidence is still coming to light. For example, in the last ten years, we have found new bat fossils that lack the structures allowing echolocation. We now know that bats likely evolved flight before echolocation. One problem in finding specific fossils (such as a bat-like mammal without wings) is that you have to know where in the fossil record to look. Until a 2005 discovery in molecular biology, the evolution of bat wings was thought to take place over a much longer time span than is currently thought to be the case. This changes two things: first, it lowers the likelihood of finding the right fossil (its in a smaller window) and two, it shows that we might be looking for pre-bat fossils in the wrong place. As for the overall "story" of how, why, and where bats evolved wings, without more fossil evidence we don't know. But the specific differences between bat and mouse genomes demonstrate that a small number of changes allow for the lengthening of finger bones in bats, which is the prerequisite for flight. Transitional fossils have been found for birds already--we have proto-birds that were not capable of flight but were capable of controlled gliding. These proto-birds appear to have been arboreal insectovores that glided from tree to tree, and it isn't unlikely that the ancestors of bats were much the same. Birds are in fact as exceptional as bats, they are the only members of the dinosaur family to ever achieve flight. They don't seem as exceptional to us because all of their close relatives have gone extinct, unlike the close relatives of bats! Not the answer you're looking for? Browse other questions tagged biology zoology evolution . Can martial artists strengthen limbs, appendages, and other parts of their bodies to “super-human” degrees? Is the rate of Human Evolution Slowing down? Does the time for evolution make sense?